We love the "foamies" for stretching, massaging sore muscles, and adding a twist to ab exercises. I give them to my students and let them get safely creative. I use this roller to strech my spine and I can''t live without it now. I even bring it with me when I travel. I incorporated the foam roller into my massage business and my clients are so happy. 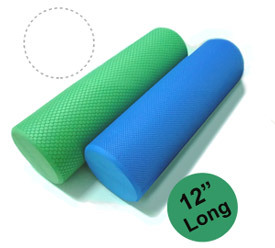 This foam roller is a great helper for doing abdominal stretches.